BriteKleen Solutions offers the best, hard-to-find, cleaning products for aluminum and stainless steel. We’re in business to make your life easier. Plain and simple. We started out doing that for ourselves, and then began helping friends. Now we’d like to help you, too! You can use our industrial-strength cleaning products for just about any stainless and aluminum items you’d like to keep bright and clean! Our products are absolutely essential if you have aluminum horse trailers, aluminum boats, stock trailers, farm and construction equipment, or just about any other brushed, polished, or painted metal that you want to keep clean and looking good. We use them ourselves and know they get the job done. Not only are they effective at restoring shine and removing grime, stains and oxidation—the’re safe and green, too. These cleaners are corn and soy based, produced in South Dakota. What’s the Story Behind BriteKleen Solutions? 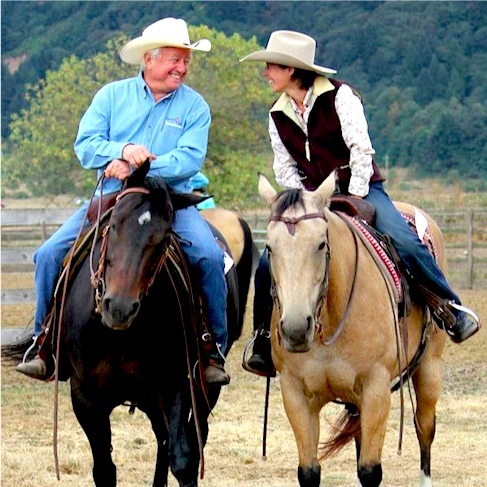 Dave Selzler is the man behind the company, and he’s an active horseman. Living in Western Oregon, Dave knows just what rain and wet, muddy weather can do to aluminum trailers. Driving up and down 1-5 to horse shows and team penning events, Dave saw first-hand that it’s a tough job to keep a horse-trailer looking good. So he went to work and figured out what REALLY gets the job done. And he started BriteKleen Solutions specifically to help other people keep their aluminum and steel equipment looking its best. And commercial truck washes aren’t the best solution. The acid-washes can be harsh—removing decals, dulling the finish, actually eating into the surface and making the trailer more prone to getting dirty! With a solid 15-year commercial track record, these products are the answer. They were more than ready to come to the rescue for retail consumers who need to keep trucks, trailers and other metal equipment looking good. And if Dave can’t find it, he’s liable to just create it. If you’re a horseman or woman that travels with horses, you should check out his portable corrals for horses. Dave travels a lot with horses, and when he couldn’t find a safe, solid and secure travel corral panel, he began thinking of a solution. Next thing you know, he designed and produced it. His new corral panels worked great. Soon, his friends wanted travel corral systems. Then he had a list of people wanting them—and Corrals 2 Go! was born. Since 1997, Corrals 2 Go! corral panels have been manufactured in Oregon and shipped to savvy riders all over North America. Still Have Questions about the BriteKleen Solutions Products? Please feel free to contact Dave using the contact form or by phone. Yes, you can call him directly at 541.915.9544. He’ll take your call and answer your questions about BritePlus MX, Silver BritePlus MX, BriteWash—or the Corrals 2 Go! travel corral system. And make your life just a little bit easier…..